National Trust Scones: National Trust Scones on Countryfile! 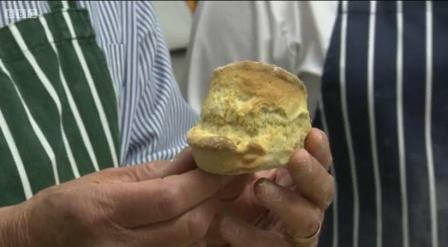 National Trust Scones on Countryfile! 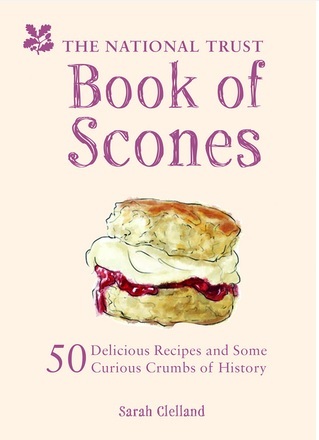 I was so pleased to see the National Trust and its scones making an appearance on TV last night. Watersmeet in Devon was featured on Countryfile, who sent the main man himself, John Craven, along to bake scones with the Chief Baker, Fiona Pile. Watersmeet sells 10,000 cream teas each year, which is an awful lot of scones. 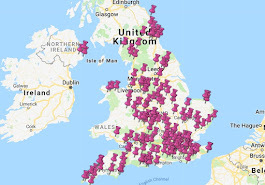 However, they also told us that the location has 80,000 customers each year, which begs the question; what do the other 70,000 people do there? I was also troubled to see a lot of customers loading up their scones JAM FIRST - and this was IN DEVON. I thought that was a criminal offence there? It's also lovely to see that John Craven continues to be there for me throughout my life, telling me about mating pandas and space shuttles on Newsround when I was ten and thirty years later showing me how scones are made at National Trust properties. It was just what I needed after a hard day's scone reviewing at Bodiam Castle. Thanks John.